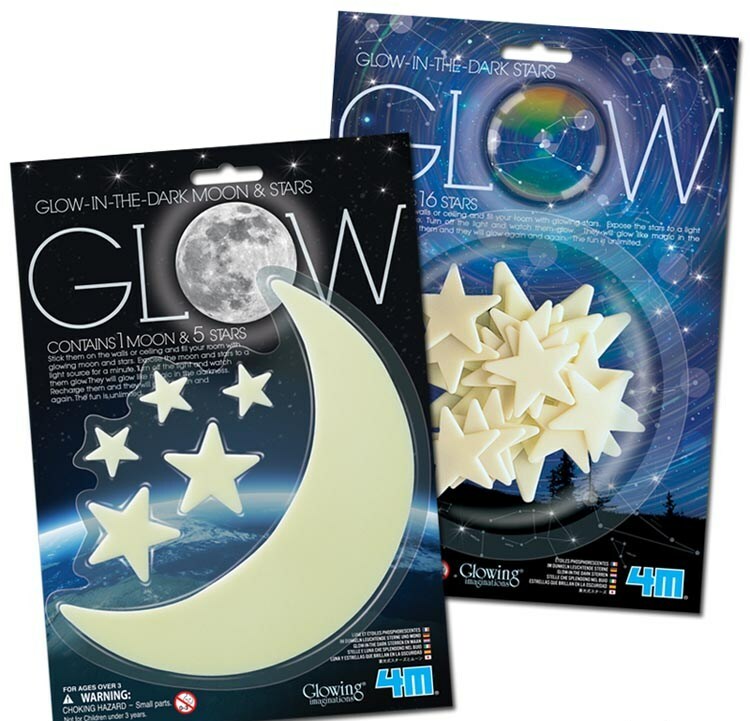 These sets of glow in the dark plastic stars are fun to put on bedroom walls, in lockers, or just about anywhere. 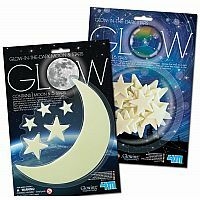 Assortment includes sets of 16-piece 1.5 to 3.5 inch stars, and Moon with five-star sets. Adhesive included.